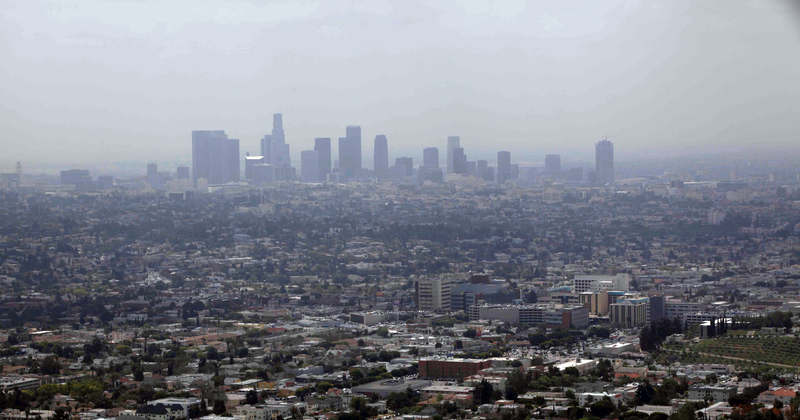 LOS ANGELES -- Southern California's air is getting healthier. According to a major air quality study released Thursday, cancer-causing pollutants have dropped by more than 50 percent on average since 2005. That's when the South Coast Air Quality Management District last monitored air quality so extensively in Los Angeles, Orange, Riverside and San Bernardino counties. But while it's now rare for smog to brown out the mountains that crisscross the region, health risks from toxic pollutants persist in pockets. The area of greatest concern remains the ports of Los Angeles and Long Beach, where thousands of trucks and huge ocean-going ships carry goods near neighborhoods. Other areas of concern include areas near freeways. The study focused on pollutants including diesel particulate matter and benzene.